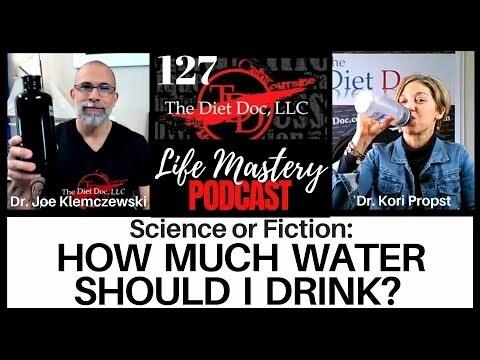 ﻿ Life Mastery Podcast 127 - Science or Fiction: How Much Water Should I Drink? 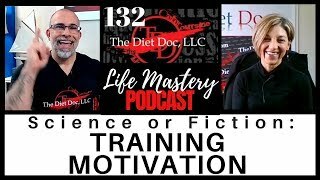 Life Mastery Podcast 127 - Science or Fiction: How Much Water Should I Drink? Hydration can improve immunity, brain function, and even fat loss. But, are there differences in quality or safety? How much should I drink? What does research show? 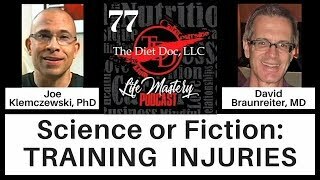 Listen in as Joe and Kori dive...sorry...into a topic you thought was easy! 01:30 What is the recommended amount of water to drink daily? 05:15 What are the health values of drinking water? 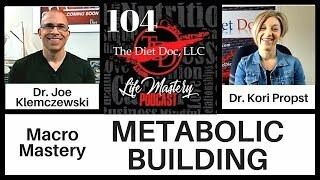 06:00 Do you lose body fat faster if you drink more water? 09:00 What does drinking water do to your appetite? 10:00 Are there safety issues about the kind of water to drink? 10:50 What % of the water supply is contaminated? 13:00 What are the benefits/hazards of using carbon filters? 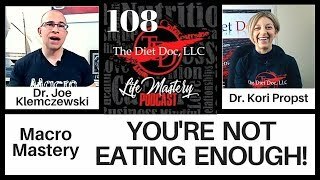 15:20 Can you drink too much water? 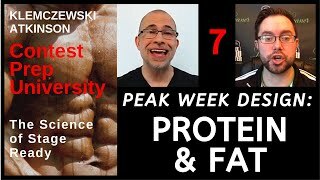 17:00 What if you sweat a lot? 17:10 Should some things be filtered out of water? Thanks for visiting! 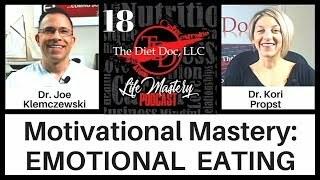 Kori Propst, PhD, and Joe Klemczewski, PhD, merge their voices to create life-enhancing conversations and content you can use every day. 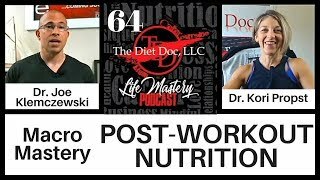 Kori is the Vice President and Wellness Director of The Diet Doc, LLC—a health and weight-loss licensing company founded by Joe more than 20 years ago. 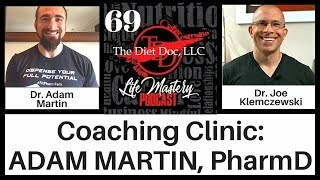 Together, Joe and Kori help hundreds of Diet Doc Program Owners build industry-leading nutrition coaching platforms around the world. Now they’re bringing their talent to a daily podcast where nothing is off limits. 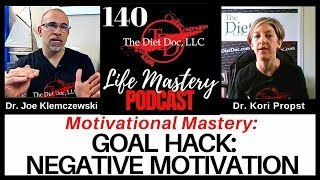 Motivation, nutrition, weight loss, career, relationships, fitness entrepreneurship, and even guest interviews and features will be dissected and categorized for convenient listening or viewing. 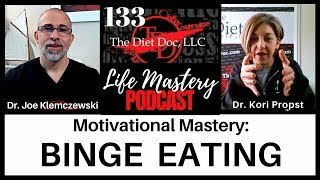 What happens when you mix 30 years of psychology, nutrition, physiology, social anthropology, and even literary journalism education with 40 years of business-building experience and almost 90 years (should I say that?) of combined real life? Let’s find out! 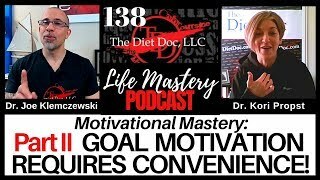 Find out how to become The Diet Doc expert in your community! FREE QUIZ: DO YOU HAVE WHAT IT TAKES TO MEET YOUR GOALS? 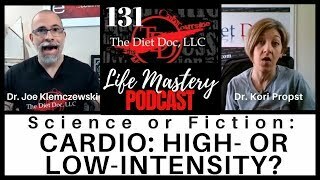 Life Mastery Podcast 131 - Science or Fiction: Cardio: High- or Low-Intensity? 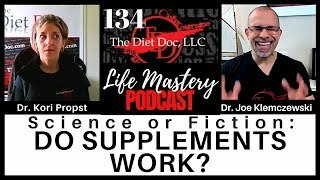 Life Mastery Podcast 134 - Science or Fiction: Do Supplements Work? 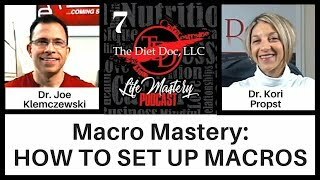 Life Mastery Podcast 108 - Macro Mastery: You're Not Eating Enough! 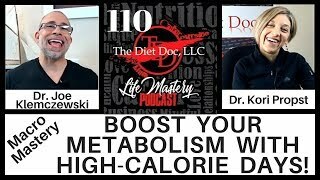 Life Mastery Podcast 110 - Macro Mastery: BOOST YOUR METABOLISM WITH HIGH-CALORIE DAYS! 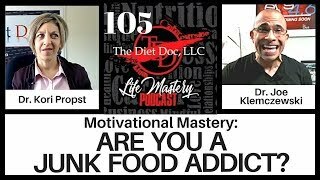 Life Mastery Podcast 105 - Motivational Mastery: Are You a Junk Food Addict? 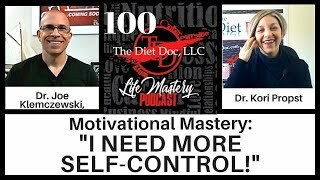 Life Mastery Podcast 100 - Motivational Mastery: "I Need More Self-Control!"